I’ve heard of orange chicken, lemon chicken, even lime chicken, but I can’t say I’ve ever thought about using chicken and grapefruit in a dish. I happened to have both on hand so I figured what the hell. I have to say I was very pleased with the results of Grapefruit Chicken. 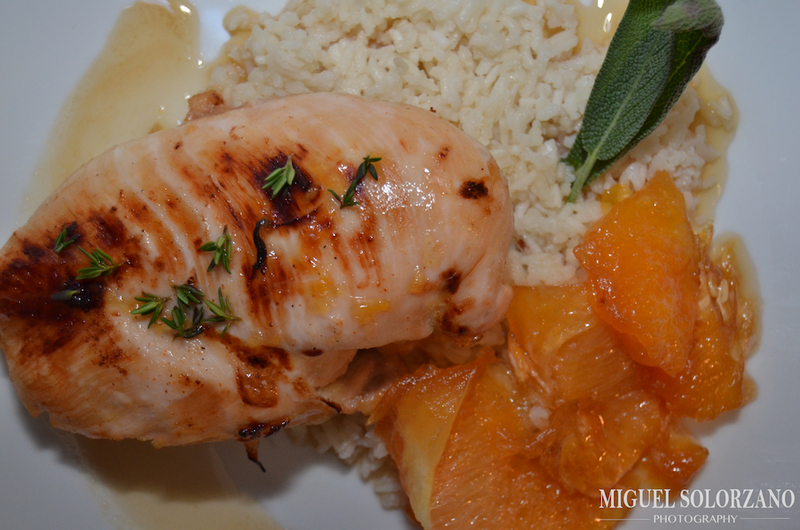 The sweet-tart flavors of the grapefruit really went well with the chicken. I used half of the grapefruit juice I was able to get as a marinade and the other half in the dish and as a reduction to go over the chicken once done. Juice one grapefruit into a large bowl. 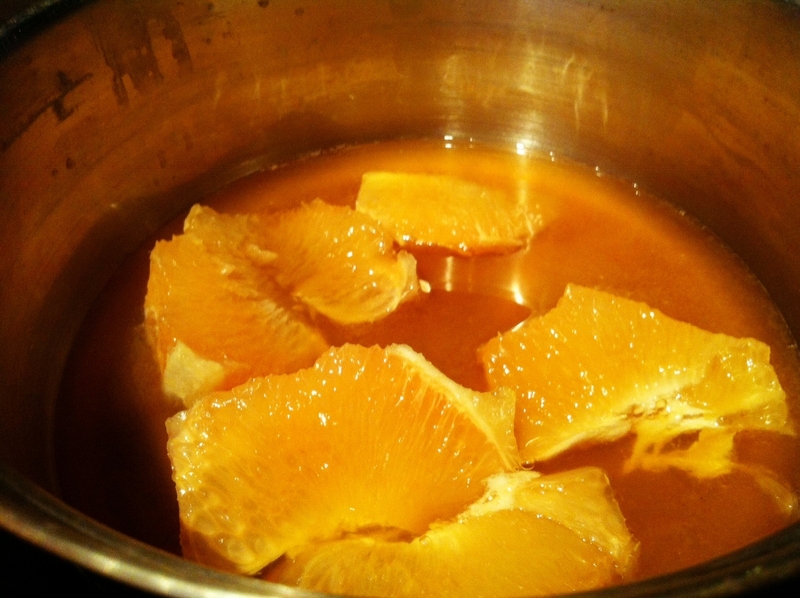 For the second grapefruit, cut it into sections making sure to cut off any of the pith (white stuff). Place the segments in a medium saute pan. To the juice, add the brown sugar and honey. Whisk to combine all. Pour half the mixture into the saute pan. Bring to a simmer and cook until slightly thickened. With the remaining half of juice mixture, add the olive oil, salt and pepper. Whisk to combine. Then place chicken in marinade and coat well. Cover and let marinate for 25 to 30 minutes. After 30 minutes, oil a baking pan and place in chicken breasts. Bake for 20-25 minutes or until chicken temperature reads 185F on a meat thermometer. 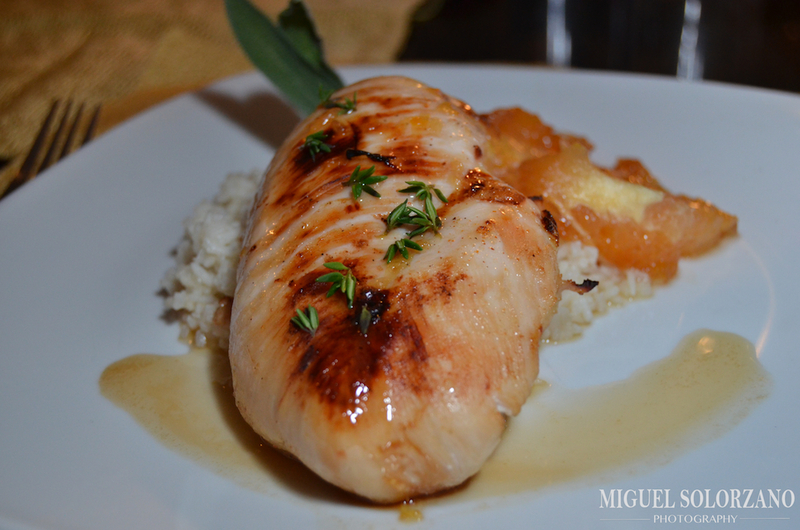 Serve chicken breasts over rice, finishing with the grapefruit wedges and reduction sauce. Tip: If you want a nice browning, after 15-20 minutes, turn on the broiler and leave breasts under the broiler for 5 minutes. But make sure the internal temperature is still 185F before removing from the oven. This dish has me seriously reconsidering my stance on grapefruits. I might not be able to eat them alone, but I now know I can work with them. I tried not to reblog this recipe….but it sounds too good not to share. Another delicious morsel to try out from the blog: “Po’ Boy Livin’ Rich”…..check out the “Po’ Boy”. This looks so different. Have to try it. Kebabs — that also sounds like a good idea. I usually do pineapple on mine. I’m trying this tonight!! It better be good….haha. It is! Let me know how it turns out. Just realized I’m going to have to replace the sugar and honey with Stevia. Hopefully it’ll still come out decent. I’m sure it will. My reduction didn’t get very thick. Glad the overall taste was still there. But if I’ve learned one thing in life it’s that there’s no substitute for brown sugar. WOW! this came out sooooo good!! the only change was I used coconut oil instead of olive oil. This is happening again very soon 🙂 thank you so much for this amazing and simple recipe.